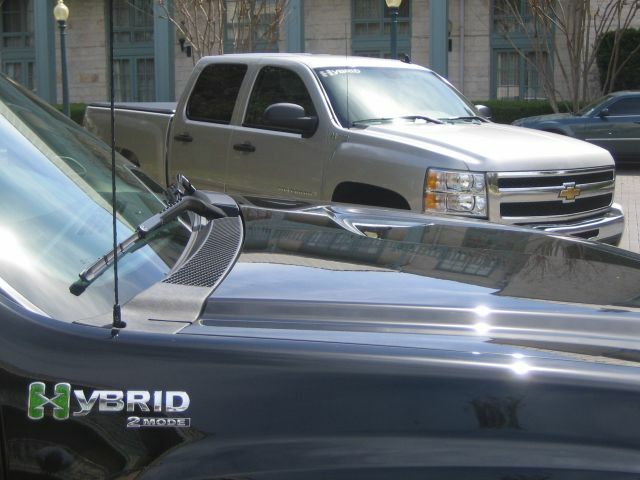 Last week, we wrote a quick preview of our test drive in the 2009 Chevrolet Silverado Hybrid pickup truck (and its twin, the 2009 GMC Sierra Hybrid). We liked them, and pointed out that they actually save a fair amount of gasoline. 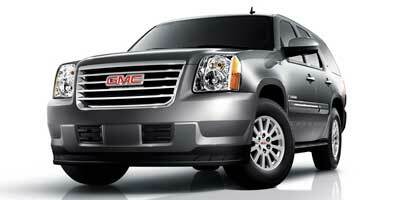 In fact, GM's Two-Mode Hybrid system is now offered in five different large vehicles. But sometimes it seems like GM just can't catch a break. First, in January, we reported that sales were low and slow for GM's big SUV hybrids, the 2008 Chevrolet Tahoe Hybrid and 2008 GMC Yukon Hybrid. At the pickup test drive, in fact, John Schwegman of Chevy Truck Marketing told us that the highest Two-Mode demand comes from buyers of the 2008 and 2009 Cadillac Escalade Hybrid--up to 25 percent of total sales. Hybrid bling, who knew? Then, last month, we found that city officials in Greensburg, Kansas, decided to offload two of three Tahoe Hybrids they had been given for free. Yep, turns out that the city really needed pickup trucks more than the hybrid SUVs that GM gave them in January 2008. Unfortunately, local Chevy dealer Ron Shank only offered $25,000 apiece for each of the Tahoe Hybrids, whose list price starts at $50,455. That meant Greensburg had to come up with an extra $10,000 to cover the cost of the three pickups they really wanted. Seems to us like $25,000 is a pretty steep hit on a loaded, one-year-old SUV. We've driven it, and it was powerful but definitely not-very-thirsty. And it's smaller than the big boys, which might help the hybrid identity stick. But we did get one piece of good news. In Columbus, Ohio, developer George Hadler bought a 2008 GMC Yukon Hybrid. Gerhard reports that this last-minute end-of-the-month sale allowed his dealership to qualify for a quarterly sales incentive program from GMC. He also said the reduction of gasoline prices and higher list price of the hybrids have slowed sales compared to the standard Yukon, so he was pleased to sell the fully loaded hybrid. So, GM, all is not lost. If your company makes it through the current economic freefall...and more customers like Hadler keep talking up their purchases...and especially if gasoline prices go back up to $4 a gallon, improving the payback...there's hope for the Two-Mode yet. Fingers crossed.